This title is found in the Little Library Literacy Kit. 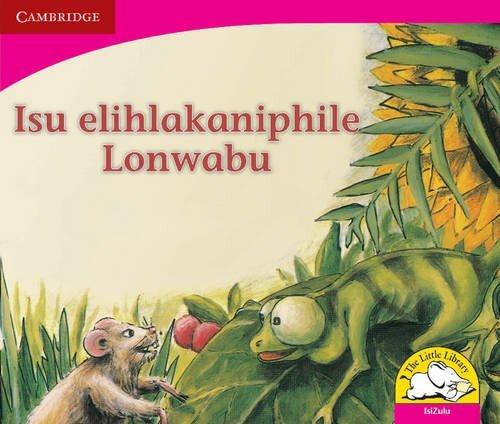 The Little Library programme, which consists of a Literacy Kit, Numeracy Kit and Life Skills Kit provides high-quality, indigenous books for the younger members of our communities. Chameleon's clever trick teaches appreciation of our own strengths and that of others. This title forms part of the Little Library programme, which consists of a Literacy Kit, Numeracy Kit and Life Skills Kit. These were developed to respond to a need for high-quality, indigenous books for the younger members of our communities. The kits have been revised to meet the changing needs of learners, schools and new education policies. Many of the well-loved stories, posters and activities have been kept and exciting new stories have been added. The posters, activities and the Teacher's Guide have all been revised to provide fresh, new ideas to try out in the classroom. Chameleon's clever trick is a title in the Little Library Literacy Kit. Summary: Chameleon performs clever tricks so that she can get food and keep safe. Mouse teases Chameleon because she is different, but soon he learns to appreciate her talents.